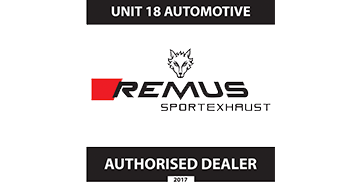 Unit18 Automotive Milton Keynes has the most up-to-date facilities and software to perform engine and engine control unit (ECU) remapping to help boost your vehicle’s performance and fuel economy. Why should I have my ECU remapped? Alongside the day-to-day car servicing and maintenance, Unit18 Automotive has the facilities and most up-to-date software to perform ECU (Engine Control Unit) and engine re-mapping to help boost vehicle’s performance. ECU re-mapping results in increased performance and in some cases, better fuel economy too. If your vehicle is older than 4-years old, we can normally remap the vehicle through our car tuning in Milton Keynes and the diagnostic port usually located within the dashboard. But on newer vehicles, we would normally need to remove the ECU and use the ‘bench flash’ method; which can sometimes take a few hours to complete properly. Shark Performance software has been developed using rolling roads and is written to provide a smooth and progressive linear power delivery. They have been successfully remapping and re-tuning vehicles for many years now and specialise in European models such as Volkswagen, Ford and Audi. Their knowledge and experience makes them a fantastic company to work with and Unit18 is proud to work alongside them. EcuTek design and produce comprehensive ECU tuning, programming and diagnostics software; primarily for most Japanese vehicles, including Subaru and Mitsubishi. EcuTek’s tuning software allows a true and clean re-calibration of a vehicle’s standard engine management system, providing the most effective way to tune modern vehicles. Prices are dependent on the make, model and age of your car, so if you are keen to look at what is possible with your vehicle, give us a call we are happy to help. So Why Have Your Car Re-Tuned? Notice a real difference in your vehicles performance with increased BHP and Torque. In some cases, vehicles have been known to show improvements with fuel efficiency. Not as expensive as some people think. Get in touch and we can provide a free quotation for your vehicle. "Had my Impreza remapped and tuned by Unit18. The increase in performance is excellent. After measuring it, I now have an extra 20 BHP."